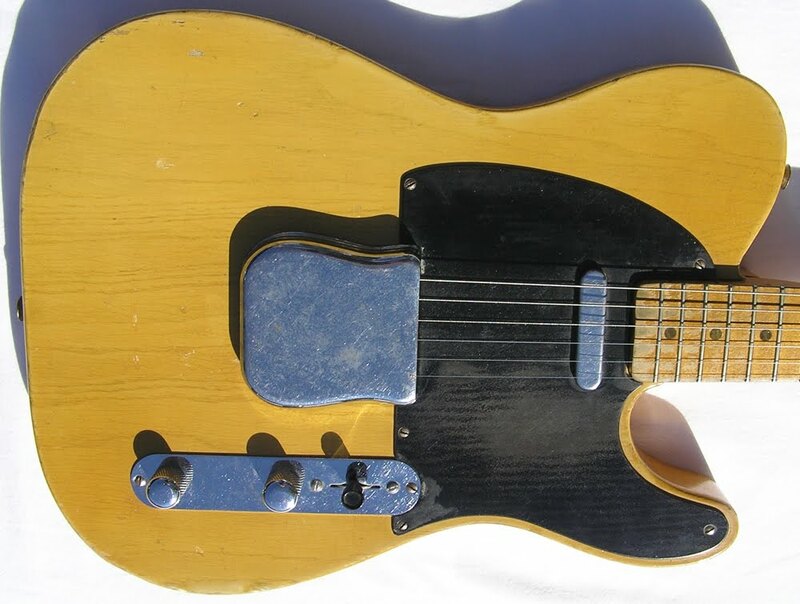 via this auction where you'll find more pics. coastal.a.a (RSS) "Not a replica, relic or reproduction, this is the real deal from 1950! Vintage Broadcaster, the First Mass produced Electric guitar made. It is estimated that only 200 were made, it is also estimated that only 20-30 Exist in original condition. Broadcasters are RARE! No cross channel route for the neck pickup wires. 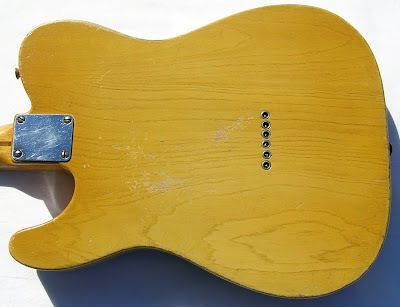 Solder Joints untouched, original Pickup windings, nothing has been touched on it, the neck has never been off the Body, you can see 12 in the neck adjustment slot Not heavy for a Broadcaster may be over 7 ½ Lbs Sounds Amazing and plays like no other guitar on the planet. Comes with the original Ash tray and thermometer case."